Are you Ready for Halloween EC Montreal?! Halloween is only two weeks away! Are you ready EC Montreal? 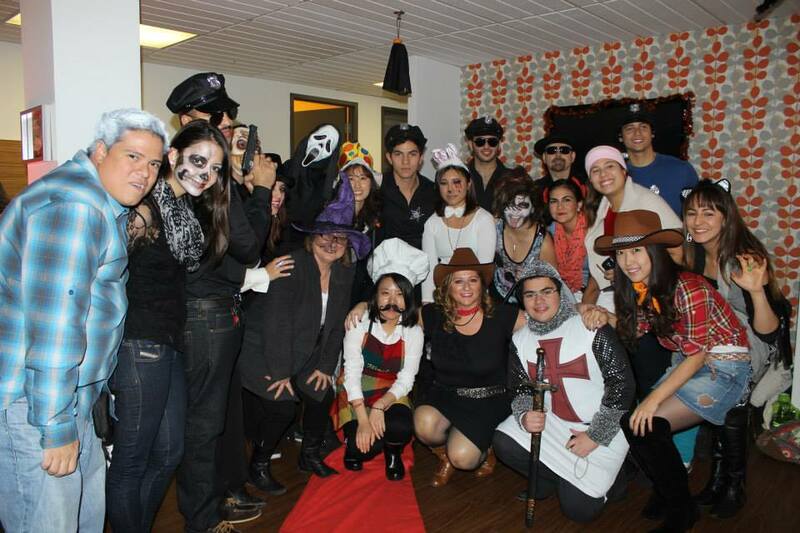 Every Halloween, EC Montreal hosts a party at the school as well as a costume fashion show and competition! We encourage all our staff and students to dress up for school that day! It’s so much fun to see all the creative costumes everyone comes up with! If you are looking for a costume there are many places just walking distance of EC Montreal where you can get your disguises! Dollarama – right downstairs on the 3rd floor, Dollarama has wigs, make-up, costumes, hats and so many other wonderful supplies to come up with an amazing costume! Jean-Coutu and Pharmaprix pharmacies both across the street from EC Montreal have a huge section of Halloween costumes for you to choose from! Marshall’s department store at the Atwater metro station has a nice selection of costumes for both men and women! The Halloween Party Shop one block away from EC Montreal sells party supplies all year long and an amazing selection of high-end costumes, wigs and face paint! It’s a little pricier that the other shops but the outfits are a much nicer quality. Join our activity leader, Danae, next Thursday, October 25 for our annual Halloween shopping activity! 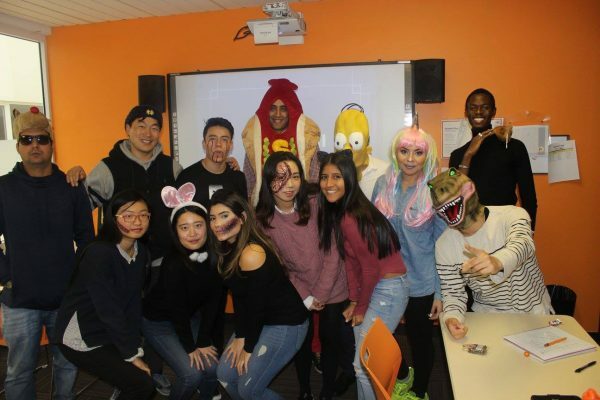 We are meeting right outside EC at 3:45 p.m.
EC Montreal will be giving out prizes for the funniest, scariest, most creative and best teacher Halloween costume! We will also be giving a pizza lunch prize to the class that has the most students dressed up in costumes! You have two weeks to get busy and find the best disguise possible so we can have an amazing Halloween! Learn English at our English Montreal school and come participate in our activities!